things seem to be falling in place and I am planning my long dreamt of, long overdue trip to the Himalayas. Found a couple of people with whom I will be comfortable traveling with. plan a trip to gangotri glacier.. my experience ther was awesome and entralling. Cooooooool. Superb. Very happy for you that you are going to the Himalayas. Hope you get to see Kailash mansarovar. Enjoy and please post pics of your trip here. Take care and wish you a safe journey. Do go to Nainital and Mussourie. I am damn sure you will love these places. If possible go to Haridwar and Rishikesh. All the places I suggested are all wonderful places on earth. While coming back try to board from Delhi so that you can visit Agra. is it s trip via air/train...guessing its not a road trip...that wud be insane! my suggestion there are some little known places around nainital...not yet crasses by ppl...but that classified info caan be given by locals...have heard that those are really WOW! Wishing you a happy journey. do go to Haridwar, Rishikesh, and if u can go in May, Badrinath and Kedarnath will be awesome place to go. apart from that Nainital and Mussorie will be gr8 place to go. Have a wonderful experience at himalayas,I have been to raniketh.. its such a wonderful, tanquille mountain, from there we can see the himalays.. its such a peaceful and calm place do vivit it on the way...u can get a manasoraver VCD, himalays darsharn avilable in all leading stores and plan up.. do take bottles and bottles of moisturisers...u r skin will peel and get dried. -ashok, one of ur frequent callers in aha kaapi club..( dentist, from ragas dental college)..do visit my blog http://luvstormandrain.blogspot.com/ when ever time permits... good work all the best. WOW... That's absolutely awesome! Hope u have a fabulous time. I've never been there before but its also been a life long dream of mine. Definitely share your experiences after your trip. :-) Have a great time. Go to the hills, go to the Himalayas. People are living there -- they have lived there for thousands of years, they are born there -- but however much you feel the beauty of the Himalayas, they can't feel it. However much you enjoy the silence there, they cannot enjoy it. They are not even aware that the silence exists. When they come to the cities, they feel a thrill -- the same thrill as you feel when you go to the hills. People living in Bombay, London and New York feel the thrill when they go to the Himalayas. People living in the Himalayas, when they can come to Bombay, New York or London, then feel how beautiful the world is. The opposite is needed to feel -- it becomes a contrast. The day is beautiful because there is night. Life has such joy because there is death. Love becomes an inner dance because there is hate. A person who escapes is not really a man of understanding. His very escape shows his fear, not understanding. If you say, "How can I be happy sitting in the marketplace? How can I be silent sitting in the marketplace?" and you escape to the Himalayan silence, you are escaping from the very possibility of ever becoming silent -- because it is only in the marketplace that the contrast exists; it is only in the marketplace that the challenge exists; it is only in the marketplace that distractions exist. And you have to overcome all those distractions. If you escape to the Himalayas you will start feeling a little still, but at the same time a little stupid also. You will start feeling more silent, but that silence belongs to the Himalayas, not to you. Come back and your silence will be left behind -- you will come alone. And back in the world you will be even more disturbed than before, because you will have become more vulnerable, soft. And you will come with a prejudice, with this idea that you have attained to silence. You will have become more egoistic. That's why people who have escaped to the monasteries become afraid of coming back to the world. The world is the test. The world is the criterion. And it is easier to be in the world and, by and by, grow into a silence, then the Himalayan silence comes into your being. You don't go to the Himalayas: the Himalayas themselves come to you. Then it is something of your own, then you are the master of it. There is a multi-dimensional escape. It is renouncing and yet living here, dropping and yet not dropping, changing and yet remaining ordinary, transforming one's being totally and yet remaining in the ordinary world like everybody else. There is nothing wrong in being worldly. Be worldly, and yet remain unworldly -- that is the very art, the art of living between two opposites, balancing oneself between two opposites. It is a very narrow path, like a razor's edge -- but this is the only path. If you miss this balance, you miss truth. i can say this with an assurance , since i have been to all these places mentioned above. Don't miss Vaishno Devi temple, Chinmayi. Also can plan a trip to Mansarovar lake. There are lot of places to visit near Himalayas. But these two struck me instantly. All the very best for your trip. Do post your traveling experiences with Pictures in blog. You are sure to love all these places like Nainital,Hardiwar.. Mind is where the action is. Mind is where is the tranquility is. It is only when we momentarily experience the absence of the mind, we experience bliss. This experience of bliss is a sublte one at the root of our consciousness. Whenever we experience this so called WOW factor (which happens for seconds) during our creative pursuits, there is a subtle neuro-biological shift in the brain (consciousness). The Himalayas and its surroundings act as a profound catalyst for us to go deeper and deeper in our consciousness, provided one is prepared for it. I wish you all the best for the trip. The entire Himalayas and its surroundings are so captivating that how can one say one place is better than the other? This is very much akin to the first verse of Ishopanishad. I sincerely hope that this first trip of yours to the Himalayas will bring you more joy and energy. I am also sure that Mother Nature will beckon you to these places in the future too. Bon Voyage! Wishing you all luck. Bring back lovely memories for us to hear about! Nothing ahaa-oho in Shimla if you have made couple of abroad visits esp US/UK/Europe etc. Shimla is good for people who have not seen any hill stations at all. I would not even rate Shimla better than South hill stations like Kodai,Ooty etc. So Skip Shimla. I dont know any place.But its pleasure to say to have wonderful & happy journey.. Enjoy..
Last week went to mussorie, hrishikesh and haridwar. it was awesome. dont miss kempty falls in mussourie. water falling there simply freezes your blood. A greater force shall guide you to places. Please pray for a change in political canvas in TamilNadu by 2011.Remember majority of us are making strides in our life but the state of Tamilnadu has to prosper alongisde. Bring some small land rocks from each of the place you visit and spread it in Tamil Nadu. Let higher power rein in the slide here. ஹரித்வார்,ரிஷிகேஷ் சென்றிருக்கிறேன். கங்கையின் குளிர்ந்த நீரில் நீராடியது நல்லதொரு அனுபவம். 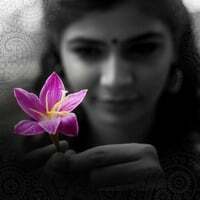 பயணம் சிறக்க என் வாழ்த்துகள். extend to Manasarovar, if possible. life-changing xperience.